James A. Cobb is a lawyer and lecturer well known for his role as the defense attorney in the case State of Louisiana vs. Salvador and Mabel Mangano. He grew up in New Orleans and remained in the city to earn both his bachelor of arts and his law degree from Tulane University. After graduating, Cobb practiced law in Louisiana and became a managing partner at the firm Emmett, Cobb, Waits & Henning. Concerned about the quality of healthcare in nursing homes and hospitals, Cobb was essential in challenging Gov. Edwin Edwardsâ€™s approval of unfit facilities during the hospital certification scandal. Although the governor was acquitted, the case raised public awareness about the need for quality treatment and adequate healthcare options for the elderly. In 2005, when Hurricane Katrina devastated New Orleans, the deaths of thirty-five senior citizens at the St. Ritaâ€™s Nursing Home became the center of a media frenzy. The owners of the nursing home, Sal and Mabel Mangano, were charged with negligence, cruelty to the elderly, and homicide. As their defense attorney, Cobb successfully proved that the Manganos had not intentionally risked the lives of their patients when they decided not to evacuate. Cobbâ€™s defense gained a complete acquittal for the Manganos. 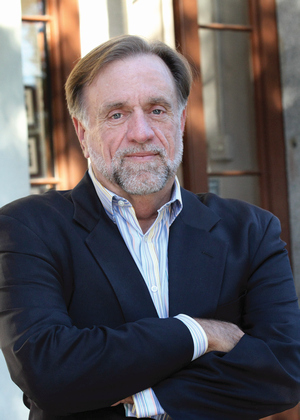 In addition to his law practice, Cobb has served as an adjunct professor at Tulane University Law School, focusing his lectures mainly on healthcare law. He is the director for the Tulane University Trial Advocacy Program and has taught trial advocacy at many universities, including Southern Methodist University and San Diego State University. He also presents a weeklong trial-advocacy seminar at Harvard University every year. For Cobbâ€™s work as a lecturer, he has received the Tulane University Teaching Award and the Monte M. Lemann Distinguished Teaching Award. In 2007, the Louisiana Nursing Home Association presented him with the Better Life Award for his work improving the lives of the elderly in nursing homes. Cobb lives in New Orleans with his wife and two children. In the media storm that followed Hurricane Katrina in 2005, nursing home owners Sal and Mabel Mangano were vilified for allegedly causing the deaths of 35 residents of St. Rita’s Nursing Home in low-lying St. Bernard Parish. This book, written by the lawyer who defended them, reveals the gripping, true story behind the couple’s heartrending decision not to evacuate and their persecution at the hands of the government sworn to protect them.